Brandon Nissan is a full-service Nissan dealership that proudly caters to motorists from the nearby cities of St. Petersburg and Bradenton, FL. 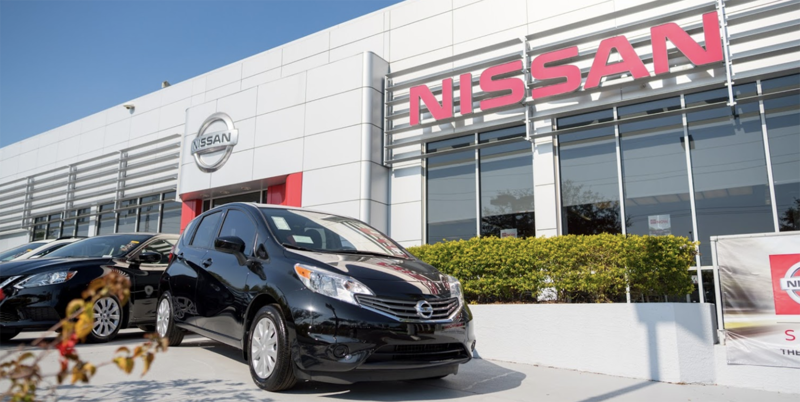 Our dealership showroom and service center in Tampa, FL are just a short drive for local Florida car buyers searching for a quality new or pre-owned Nissan, or for professional auto maintenance. Let our sales, finance, parts and service department staff ensure that your experience with us is a great one. With our competitive pricing, large inventory and trained team members, drivers and car shoppers can count on Brandon Nissan to deliver! Do not hesitate to contact us with any questions about our new Nissan vehicles for sale as well as our many automotive services available to you. When you are in search of a versatile new Nissan Rogue SUV or Altima sedan in the Tampa, FL area, turn to Brandon Nissan and our extensive collection of the latest Nissan vehicles. Nissan makes a car, crossover, SUV or pickup truck for every need and lifestyle, so we invite you to speak with our Nissan sales team for assistance with your new car search. Whether you have a new Nissan or a pre-owned one in mind as your next vehicle, our dedicated finance department staff is here to make your auto loan process a smooth one. Thanks to our competitive financing rates and range of alternative loan packages, new and used car buyers of varying credit levels can drive home in a quality auto from Brandon Nissan. Visit the Nissan factory-trained and ASE Certified technicians at the Brandon Nissan service center when the time comes for brake service, a tire inspection or oil change. We offer comprehensive auto maintenance for many makes, not just Nissan vehicles, so do not hesitate to schedule a service visit today! From genuine Nissan parts and accessories for your Pathfinder SUV to fair market value for your trade-in vehicle, Brandon Nissan is here to meet or exceed your expectations in the automotive arena.